Prostate-specific antigen (PSA) tests remain the most common method for measuring prostate cancer recurrences; however, the standard follow-up body and bone scans are unable to detect the exact location until PSA counts reach excessively high levels. The FDA-approved, Medicare- covered diagnostic Axumin PET Scan pinpoints the specific location of the cancer and provides insight into the disease process itself. “Providing our patients with local access to this cutting-edge molecular imaging technology means they no longer need to travel to NOVA or D.C. for their Axumin PET Scans,” according to Chris Synder, Practice Administrator at MIF. A reported one in three men treated for primary prostate cancer experience a biochemical recurrence (BCR). Recurrences can go undetected through conventional imaging methods. Patients and their providers in the region are encouraged to schedule an Axumin PET Scan at MIF’s convenient location on the campus of Mary Washington Hospital. 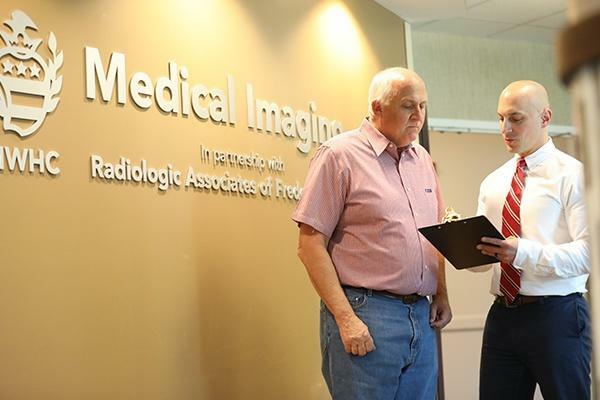 Medical Imaging of Fredericksburg (MIF) was founded in 1985 with the purpose of providing patients with the highest level of care for the greatest value in the region, all within a convenient outpatient setting. Over 30 years later, MIF continues to serve the community with outpatient access to state-of-the-art services by Board Certified, Fellowship Trained Radiologists. MIF is the only facility in the Commonwealth of Virginia to receive the Diagnostic Imaging Center of Excellence (DICOE) designation. MIF operates with the core belief that each and every patient deserves to be treated with the utmost dignity, compassion, and care at the best possible value.